The dancing ladies are happy to show their stuff. Mitch runs a speakeasy and gambling joint. Mrs. Delano asks Angel to look for her son among a group of Chinese people, though that’s not the term she uses. Angel affects a sissy voice to be flippant. Running a lean 60 minutes, Sinners’ Holiday is a tight little melodrama heavy on atmosphere, not so much on much else. Angel is a convict in need of a job and a girl. Jennie is pretty enough to be the girl, and her mother, Mrs. Delano, is apathetic enough to give him a job at her penny arcade. She owns most of the boardwalk amusement park and has an intense rivalry with Mitch, who runs the seedier attractions. Mitch also seems to have ensnared Delano’s youngest son, Harry, into running his speakeasy. Harry is also seeing Myrtle on the side, against his mother’s wishes. The youth of today, spent like so many shell casings on the battlefield of love. But Mitch discovers that Harry is stealing money from him, and in a showdown, Harry gets into a panic and kills him. His mother agrees to frame Angel as the killer for the police to save her son’s life. The story’s ending is probably its most frustrating aspect, as Angel is arrested by the police despite the fact that Harry’s voice slips to a high pitched squeal whenever a police officer even looks his way. Angel is being led away before Jennie, who’d seen the whole altercation, finally tells the truth of what happened. 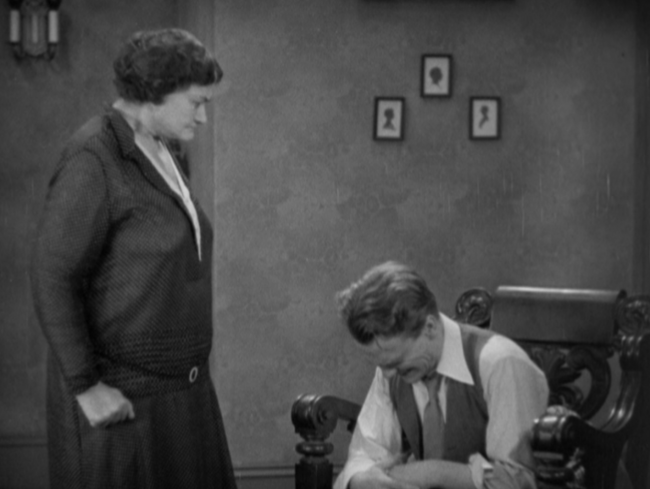 Mrs. Delano is devastated, but Harry finally regains his composure as he’s led away. There are apparently no hard feelings between anyone about the whole ‘setting up Angel for a murder’ deal, and things return to normal. Which I understand that this originates from a stage play and wanted to shun ambiguity, but the fallout is so minimal, it may as well not have happened. The movie’s final moments miss making an emotional connection, alluding to a cyclical nature where the rest of the film seemed to be about different paths on a journey. It’s pretty disappointing. 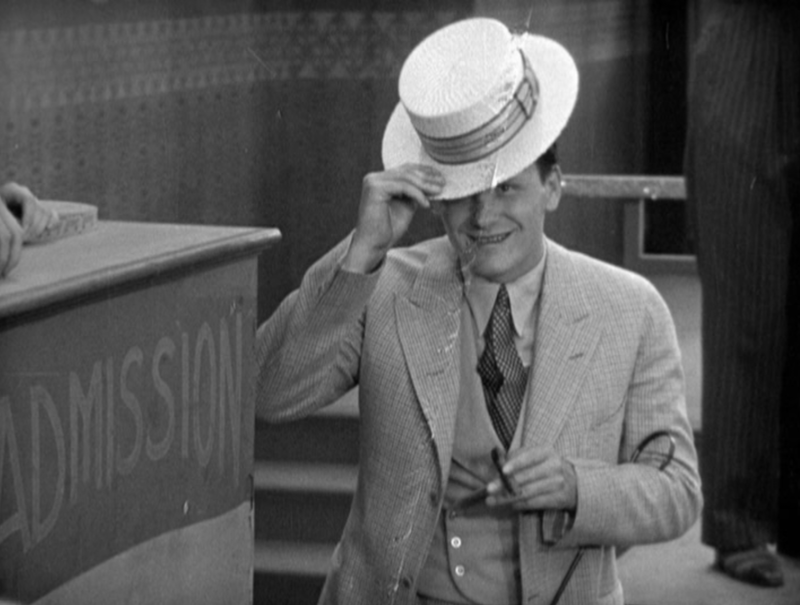 Most of the discussion of this film goes instantly to Cagney, and it’s not hard to see why. It’s a subtly showy performance as we watch Harry try to navigate the waters between being a tough and being a complete wreck. He’s a sniveling, whiny crier one moment and at peace and calm the very next. I won’t say it’s great acting by any stretch– a little too hysterical for the screen, perhaps, but a solid start. 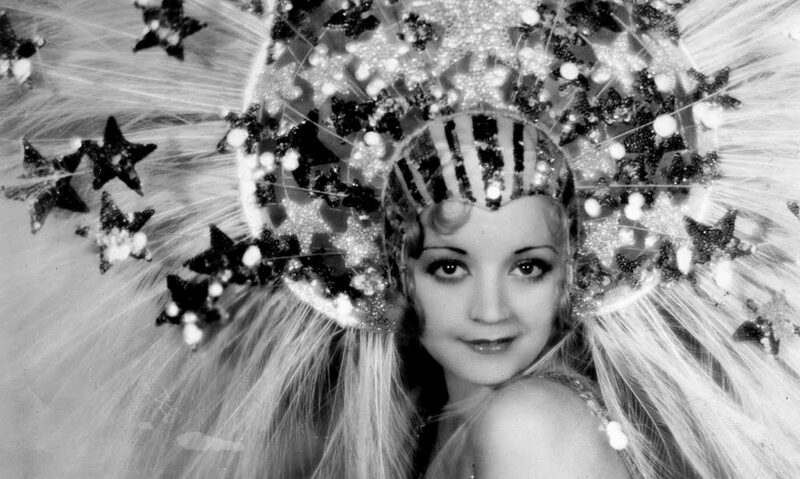 Blondell is even more at ease, though her character lacks the fiery theatrics to show off her range. Still a brunette here (whoever at Warners pointed out that Joan Blondell should, duh, be a blonde, is forever my hero), she’s casually playful and a tough cookie from the word go. 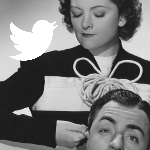 She instantly sticks up for the likeable Harry and rebuffs every other schmoe who comes her way– tough, since her job is to sit in a car with men for photographs that they can send home to show what a good time they’re having. Myrtle’s nickname from her barker is “the little happiness girl”, and it’s a miracle that never caught on with Warner’s own publicity department. More pics of Joan Blondell, more happiness. Left out of these discussions usually is Grant Withers who plays the lead. Watching him, it’s interesting to see that Warner’s clearly had a type even before they realized Cagney was the perfect embodiment of it. Angel is sarcastic, playful, dirty minded, and no paragon of good by any means. But he’s honest and kind hearted, and thus the hero of the story. 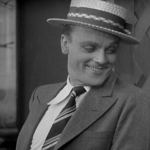 Withers would slip to supporting roles over the next year just as his co-star Cagney would come to embody. 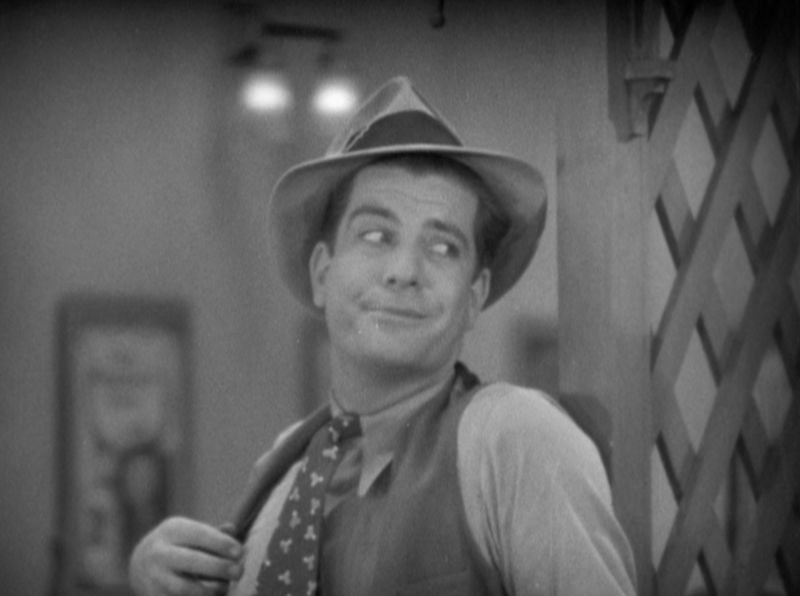 Withers is perhaps too flippant– and seems to lack that extra touch that other Warner’s similar stars like Pat O’Brien could at least pretend to have. 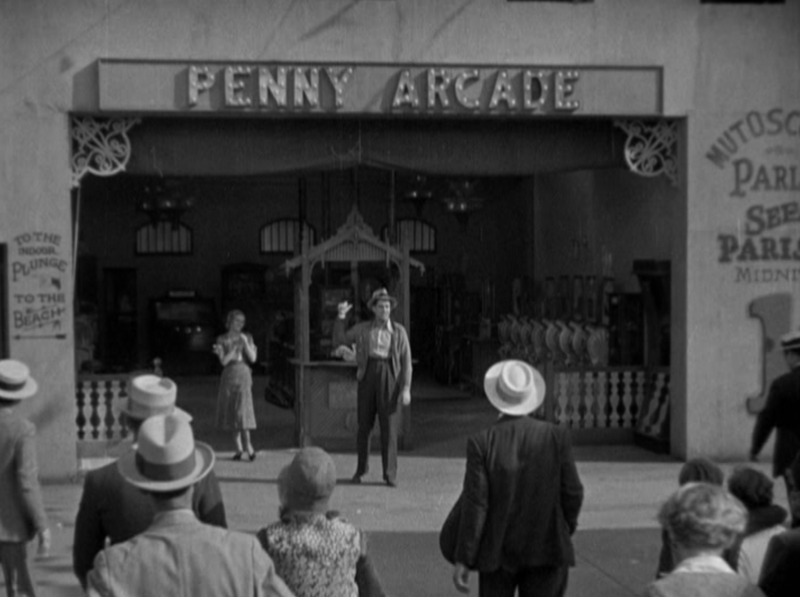 I mentioned the atmosphere up top, and it has to be said that the movie does establish a really unique and inclusive atmosphere as it never really leaves about a quarter mile around Delano’s penny arcade. Even though there’s only a few main characters, we see them interact with the vendors and crowd constantly, and we get to see the relationships, from the jealous to the cruel, in full view. 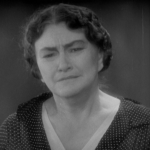 Pull it together, Cagney, you have a hell of a career coming up. One scene that’s interesting to watch in retrospect is a lengthy interlude between Jennie and Angel on the beach at night. There are several moments where you can tell exactly where the microphone is because the actor is clearly missing it. 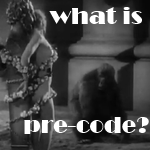 The director, John G. Adolfi, also has some fun with a scene where the two change out of their swimsuits under the boardwalk, both out of the sight of the camera– something impossible to do just a few years earlier in the silent era. Sinner’s Holiday is a boilerplate for a lot of ensuing Warner Brothers dramas, and it’s a great way to see just how fully formed Blondell and Cagney’s personas were at this stage in their careers. If you’re interested in that, it’s worth a look. But besides being ‘an interesting beginning’, there isn’t a whole lot else to see. 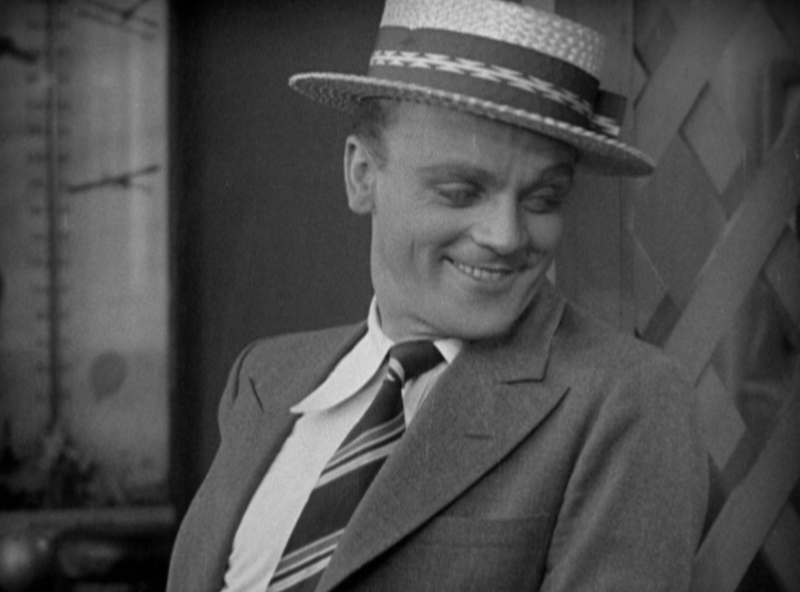 The original New York Times review singles out Cagney as the best actor in the picture, though, notably, Blondell isn’t mentioned. Sinners’ Holiday was based on a play called “Penny Arcade,” which had a brief run on Broadway. Cagney and Blondell were in the play together and even though the critics didn’t care for the show, they did like Cagney and Blondell. As fate would have it, one of their admirers happened to be Al Jolson. 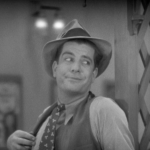 Jolson thought the story might work well as a movie so he bought the rights and sold them to Warner Brothers with the stipulation that Cagney and Blondell play the same roles they had in the stage version. 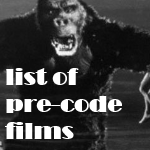 John at Twenty Four Frames runs through all of the Blondell/Cagney pairings on film, seven in total and all pre-Code. One of the fascinations of this movie for a fan of Cagney is that this is the nearest we can get to seeing his work on stage. With all the other roles he played before going to Hollywood, all we have are the descriptions – but here we have a part he played in the theatre, and where he probably did a lot of the same things. I wondered if it would be possible to find any reviews of the stage play online, but have so far drawn a blank. In particular, I’d love to know if Cagney sat on his mother’s lap on stage, as he does in one scene in the film – made 20 years before the similar moment in White Heat. 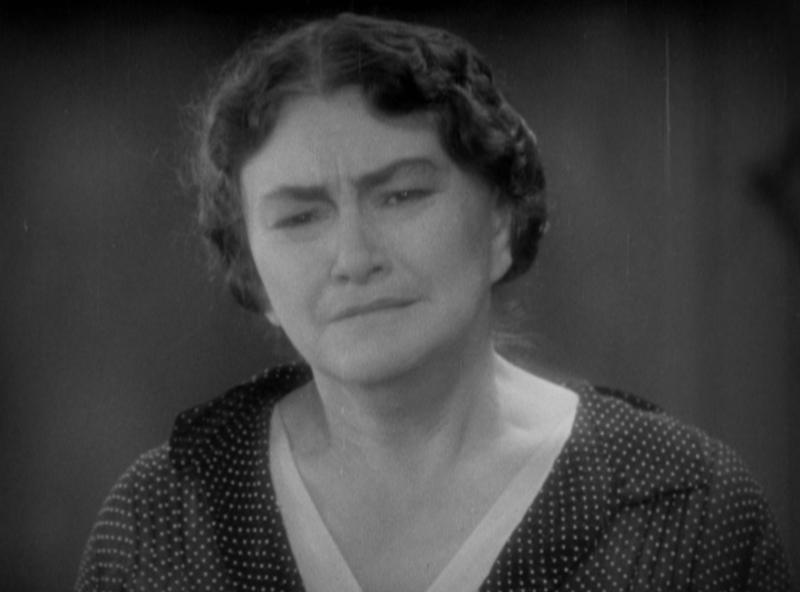 There is a great deal of “mama’s boy” stuff in this movie – maybe more even than in White Heat, which I’ve just re-watched. At one point, rather surreally, he has to sneak out to meet a fellow gangster late at night, because Ma has just ordered him to go to bed! Thanks so much for the nice mention, Danny. I know this is no masterpiece but I really do have a soft spot for it because of that nervy early Cagney performance, and also the unique atmosphere you describe. 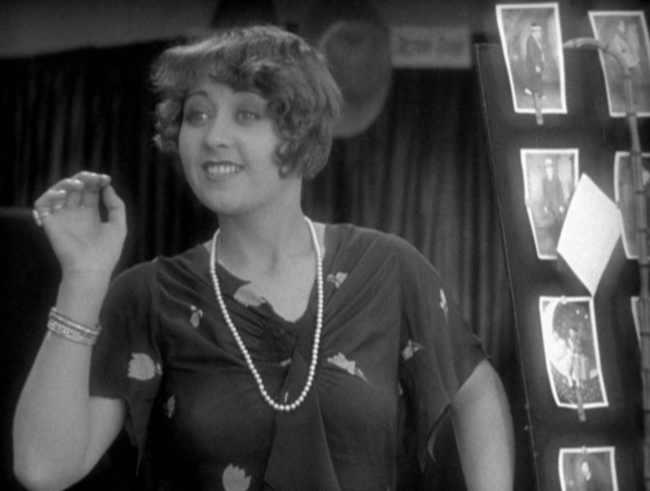 Blondell doesn’t really get enough to do in this but is very good with the screen time she gets. That’s a great point about Withers’ character already being the Warner’s type – he’s an actor who has grown on me since I first watched this, partly because I’m so fond of ‘Other Men’s Women’, so I’d like to see more of his work. And yeah, I remember feeling disappointed by the ending of this one and the way it just fizzles out after all that emotional turmoil. Yeah, it’s definitely interesting to see how well Withers fit in with the other stars Warners was promoting. 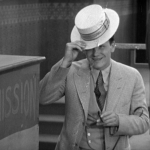 I’m coming around on Withers, too, but I can see why he didn’t last in the same way Cagney did– he just doesn’t have the same energy.